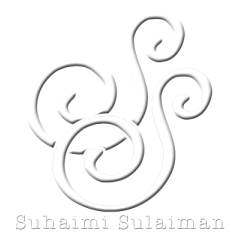 Suhaimi Sulaiman - The brand. After 25 years in the media industry working as a journalist, producer, editor, anchorman, I decided to move on to add new dimensions & new adventures to my career and life. Building the Astro AWANI brand from ‘zero’ into a reputable and credible 24/7 news and information channel with my colleagues from 2007 to 2015, gave me the confidence to take on many new projects as an entrepreneur. On March 6, 2015, I left Astro AWANI after a very fulfilling stint leading the editorial team as the Group Editor-in-Chief. Yes, I ‘left’ Astro, but I am still ‘with’ Astro providing communications and media training to the channel managers and communication executives, in my capacity as a consultant/trainer. And the new ventures? Media and content consultancy. I train company spokespersons on how to have win-win relationship with the media. I help CEOs in various aspects of branding. For captains of industries, high profile personalities and politicians, I work on their personal branding and help them to shine as thought leaders. I also assist organizations in content creation and development – how to craft the right message to stand out from the crowd. For news and media organizations, I provide 360 services from news gathering to production to content marketing and most importantly, how to give more legs to stories to move to the different media platforms in a platform agnostic era. And what is life without art, beauty, aesthetics… Together with my business partner Asyraf Amir, we design and produce contemporary batik shirts and we sell them online. Our Su & Ash batik shirts are available at www.suandash.com. Working at Astro AWANI for 8 years gave me the experience of building the “Astro AWANI 24/7 news” brand. A member of the pioneer team that started Astro AWANI in 2007, I enjoyed my role as a mentor for all the star anchors. I also provided the strategies for the editorial team and led the 24/7 news and information channel team to excel in BREAKING NEWS and 360 news analysis. Astro AWANI’s digital media, astroawani.com, was ranked number 2 on Effective Measure’s list for news organization accessed via mobile in July 2014 due to the Malaysia Airlines MH17 coverage. AWANI was ranked 4th in Google’s Trending Searches of Malaysia 2014 for the comprehensive coverage of the disappearance of Malaysia Airlines MH370 and the crash of Malaysia Airlines MH17 in Ukraine. I am a member of the Institute of Public Relations Malaysia and I always exchange views with fellow members to help me in my role as a communications, media, branding and perception-management trainer. I regularly conduct media relations training for the Malaysian Press Institute. One of my most memorable experience was when I attended the CNN Journalism Fellowship Management Session at CNN’s Headquarters in Atlanta, Georgia, USA in September, 2014, where I met and exchanged ideas with the big names in the world of broadcast journalism. Attending the Harvard Case Study Training on “Effective Strategies for Media Companies” in October 2009 helped me think strategically in creating new opportunities in various aspects of communications especially when providing advice to the top management teams of multinational companies, public listed companies, opinion leaders, politicians and organizations in the public sector. Prior to joining Astro AWANI in May 2007, I started my career as a bank officer in 1987 with Bank of Commerce Berhad. In 1990, I joined TV3 as a reporter and assistant producer. I started anchoring TV3 News in 1993, and later my nice bosses at TV3 gave me the opportunity to produce and host various news and current affairs programmes like Face to Face, Editor, Teleskop, Malaysia Hari Ini and Bincang Petang in addition to anchoring the prime time news, Buletin Utama and the English News, Nightline. At TV3, I also anchored and produced special programmes like Al-Ries & Jack Trout marketing series, Bajet, Elections and many more. My last post at TV3 was Content Creation and Development Manager before leaving the station in 2003. Between 2003 and 2006, I provided editorial and content consultancy services and public relations advice to various organizations such as ACCA, Telekom, PETRONAS, Universiti Teknologi PETRONAS and 1901 Hotdogs, to name a few. After leaving my job at Astro AWANI in March 2015, I now lead a less hectic life and enjoy conducting various training workshops on media, content, branding, public relations and crisis management. My clients include JKR, MINDEF & ATM, stakeholders of Pantai 2 Sewage Treatment Plant, Unlimited Dreams, ASTRO, TVAlhijrah, Institut Integriti Malaysia, ABIM, KBI, AlRajhi Bank, Danajamin Nasional Bhd, Istana Negara, The Prefects Board of Malay College Kuala Kangsar and many more. I have trained leaders of Start Ups in the ASEAN region on “dealing with the media” through a collaboration with the New Entrepreneurs Foundation. Through this collaboration, I shared my knowledge and experience with Start Up founders from Singapore, Myanmar, Philippines, Thailand, Indonesia and Malaysia. I also love giving talks on communications at institutions of higher learning and have been doing it on quite regular basis. I also speak at various business, marketing and communications conferences and seminars. And I had a lot of fun speaking at the Malaysian Institute of Accountants (MIA) International Conference 2015, ABIM’s Global Forum 2015 & UKM’s Media Entrepreneurship Industry Talk 2015. Orman), the yearly annual dinner of The Malay College Kuala Kangsar (with their Royal Highnesses the Malay Rulers as VVIP guests) and The 100 years of MCKK in 2005 (Involving the SPB YDP Agong and their Royal Highnesses the Malay Rulers). I also enjoy moderating conferences and seminars. I moderated the Universiti Kebangaan Malaysia’s Bicara Persada series and SPAD’s Land Public Transportation Symposium 2015. I have a Bachelor’s degree in Business Administration from Portland State University, Portland, Oregon, USA and an MBA from City University, Bellevue, Washington. I received my secondary education at the prestigious Malay College Kuala Kangsar. I enjoy photography, traveling, painting, singing and networking. A cat lover, I write about them for Meow News. Check out Meow News or Berita Meow at www.meow.com.my. I also write about my training sessions, workshops and adventures on Linked-in.